Full-sized pattern pieces and instructions to make Wristlet Phone Fob Pockets (worn on the wrist for easy access), Quick Wristlet Key Fobs (for keys, etc.) 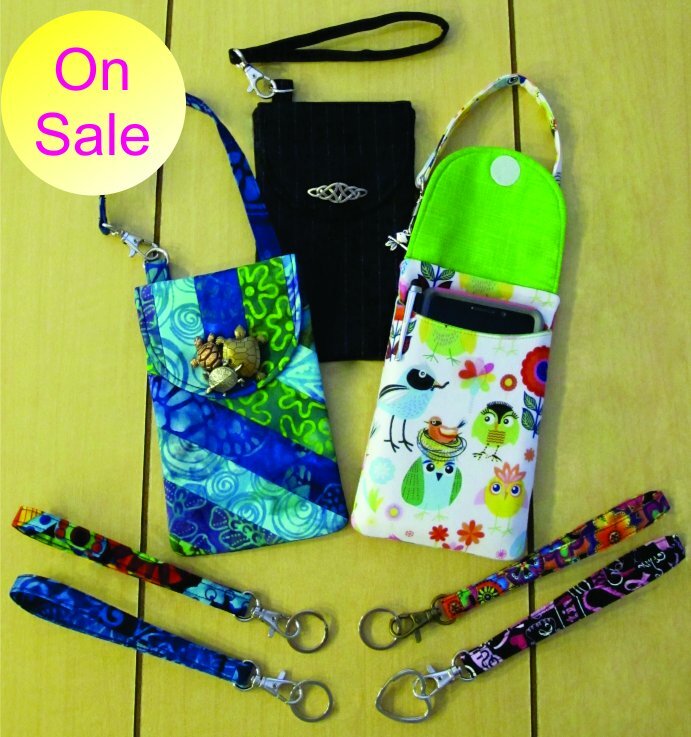 and that use the same techniques to make a Phone Fob Pocket with a strap that wraps around purse or backpack handle(s) and hooks in place. Everything needs its own place, otherwise it may end up in the refrigerator! ☺ Approx. finished Phone Pocket inside measurements: 3¾” wide x 5⅞" tall. Will fit most phones, but we’ve included instructions for larger phones if needed.